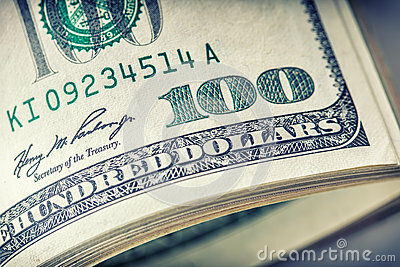 Dollars rolled closeup. American Dollars Cash Money. One Hundred Dollar Banknotes.